Tooth discoloration is a common complaint with more than 32 percent of people concerned about the appearance of their teeth. When your teeth begin to discolor, many choose to turn to over-the-counter whitening kits because they are affordable and convenient; however, only a little over 50 percent of people see any type of results and the results don’t last. The only effective way to whiten your teeth to your desired results is with professional teeth whitening. Professional teeth whitening in Naples will give you a brighter, whiter smile with lasting results in as little as one appointment. Tooth discoloration is unavoidable as it’s a natural part of the aging process and genetics; however, the rate of discoloration and extent of discoloration is impacted by numerous factors. The foods and beverages you consume can cause discoloration to become more extensive, as well as tobacco use. Certain medications and medical conditions can also lead to more severe discoloration. In some cases, discoloration may even be the result of an underlying oral health problem. Due to the various causes of tooth discoloration, each patient requires a customized approach to whitening the teeth, which just isn’t possible if you’re using over-the-counter whitening kits. Of the greatest benefits of professional teeth whitening is the safety factor. Prior to undergoing a whitening treatment, you will need an examination to determine the cause of your discoloration. This will help determine if an oral health problem is the cause, which may require treatment. In addition, not everyone is a candidate for whitening treatments and not all teeth are suitable for whitening. Your dentist will determine if whitening is right for you. 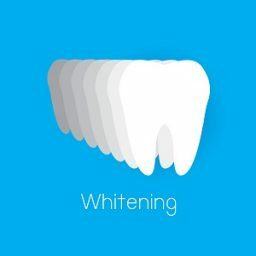 In addition, dentists are specially trained to safely use whitening systems to reduce irritation by protecting the lips, gums, and cheeks from whitening agents. Your dentist will also aid with reducing any tooth sensitivity while also delivering more even results. Professional teeth whitening will produce more drastic results that last longer. We use the Zoom! Whitening System to safely and effectively reverse discoloration. Zoom! Whitening is among the most trusted and preferred whitening systems because it drastically whitens teeth in just one appointment. Using a safe and effective whiten gel that’s placed in custom-made trays worn over your teeth, the gel deeply penetrates the enamel to lift away stains when activated by a special light. The uniquely formulated whitening agent contains a pH balance of hydrogen peroxide, which whitens the teeth by as much as 10 shades. After the treatment, we administer a fluoride treatment to help protect your teeth. To keep your teeth as white as possible, we’ll give you a take-home whitening kit to keep your smile bright in between treatments. Mark M. Makram, DDS is your dentist for rejuvenated smiles with professional teeth whitening in Naples. Get the radiant smile you’ve always wanted with Zoom! Whitening. If you’re ready for a brighter, whiter smile, it’s time to call (239) 513-9990.